Thalheimer has innovated the new technology and production of Medical Deep, Ultra Low Temperature, Freezer and the fastest Shock freezer down to – 85ºC in cooperation with specialist in the field s of electronics and thermodynamics. All units are complied with UNI EN 61010-1/A2 (CEI 66-5), CEI EN 61326-1, R egulations on safety for laboratory equipment and ISO 9001:2008 certified manufacturer. Different models and sizes have been pre-designed and considered as standard models offered by Thalheimer. We have three models within the range of Deep and Ultra Low Temperature Freezers: horizontal, vertical and under counter units. 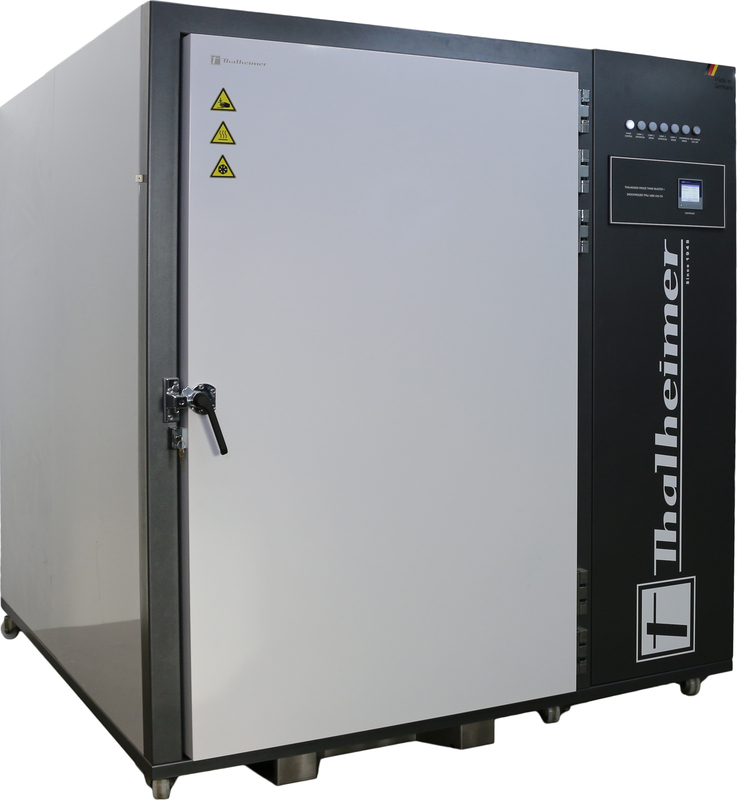 Thalheimer produce different sizes from the above models and those are in the range of 85L for the under counter till 800 L which is considered as the biggest standard model. For Shock freezer, Thalheimer offers very wide range of models starting from 100 Liter till 1000 Liter for different applications of laboratory and Hospital/Medical use as well as for Research and Development institutes and Pharmaceutical industries. Thalheimer always offer custom made design with different sizes and model based on our client’s requirement and expectation. In general the time required to cool down the inner chamber of the ULT freezer from ambient temperatures to the selected set temperature of -80°C to -85°C is mainly depending on the type of insulation, the efficiency of the compressor system as well as the installed metal shelves within the freezer. Thalheimer’s TPSU unit Shock freezers are able to cool down within 2.15 to 3.30 hours. The system described is a Blast Freezer & Thawer. It will be used for downstream processing of bio-pharmaceutical products (proteins). The Blast Freezer & Thawer is used for the defined freezing of bottles with bio-pharmaceutical content. During a freezing process the pharmaceutical product is placed in the freezing chamber. The same occurs when thawing the product. A pre-defined temperature profile will be executed. Finally the bottles will be deep frozen and can be processed further for shipment. After storage, the bottles removed from a -80°C freezer will be thawed. Both freezing and thawing should occur very fast using convective air (“blast”) of -80°C (freezing) or +25 – 30°C (thawing). Therefore, the blast freezer & thawer must have a thawing function, which allows a controlled warming and defrosting of goods to temperatures up to + 25 – 30°C with high precision (no temperature cycling outside of this range). – External cabinet made of zinc-plated and/or enameled steel sheets, o r, upon request, SI 304 stainless steel satin finish. – Triple-step seal in silicone rubber for greatest prevention against air loss and ice formation; gaskets with almost unlimited durability. – Complete reheating compensation valve to equalize inter nal and external pressure after opening and closing the door: greatly facilitates being able to open the door after it has been opened not long ago. – Locking handle with self-raising hinges (in horizontal models ) for maximum ease when closing and maximum operator safety. – Loading System: Our innovative solution gives you the possibility to quickly load the freezer with the help of a trolley. This way the whole racket system is inserted into the freezer, giving you the chance to freeze the plasma, in the fastest time, in 2.15 minutes. – Lock with transponder/badge available (optional); the PK (Per sonal Key) device comes complete with badge reader, management electronics, stabilized power supply at 12 Vdc 3 A and microelectronic security pistons. It is integrated with the closing system. The refrigeration system for ULT and Shock freezers is fully sealed; it uses a cascade circuit with innovative components and fluids to obtain, together, maximum cooling reliability and performance; it has 2 silent, airtight compressors (value Leq dB (A) < 55); with a high r efrigeration capacity, furnished with magneto-thermal protection and pressure gauge to monitor maximum condensation pressure (MR): full reliability and no failures in the 1st stage; immediate identification by the user with recovery ability. The condenser surface (air with thermal r eturn above 2,610 Watt, with room T +25°C) is very large (with tubeless-execution exchangers) to endure even the most severe environmental and work conditions and to reduce power consumption. The expansion of the refrigerating fluids is obtained through capillary tubes; the expansion occurs in fixed exchangers; the evaporating surfaces are made of: copper coils (thermally) connected to the entire external peripheral surface of the internal casing for horizontal freezers, and evaporation trays in AISI 304 stainless steel – placed inside the internal chamber for vertical freezers; both solutions guarantee high refrigeration capacity, very fast cooling (reduced pull down and recovery times), and elevated uniformity of the internal temperature. The whole thermal fluid dynamics circuit is built to provide maximum functionality (efficiency, reliability) and facilitate maintenance operations. The refrigerants being used are non-toxic, non-flammable, non-explosive and environmentally friendly (maximum respect for the environment): HC free, CFC free, HCFC free (ODP = OZONE DEPLETION POTENTIAL = 0). The freezers at -40°C have the same construction characteristics as t hose of the -85°C, with the exception of the second compressor system in cascade. 4,000-VA voltage regulation, capable of compensating the fluctuations of the utili ty power supply (± 15%), protecting the compressors and guaranteeing a long useful life. defrosting cycle will take up to 36 hrs. technical room and into a sewage disposal. Water flow: at full performance approx. 900ltr./hr. All our controllers (with touch panel), are developed, programed and produced in-house. Thalheimer Soft Engineering division which is a member of Thalheimer group of companies is specialized in electronic and program research, development and production of all PLCs and controllers. All controllers are designed with a technology based on microprocessor ARM9, Dual Core, similar to those applied in smart-phones. The system is designed to control, record, supervise with full traceability of all requested parameters and events. It features full connectivity to the environmental and very safe during the operational process with an easy access. The system consist of 2 monitoring kit with two independent R TD Pt 100 Ω (class A) sensors; one for the regulation and one for the temperature alarm and for automatic recording of the temperature and the alarms; The recording is being done in real time for all functions which are being automatically recorded on the SD card and USB port. The SD Card and USP port are located in the front panel near to the touch screen, and the user can easily download the required data of thermal recording as well as updating the software whenever needed. The controller works with operative system Linux and it’s a true on – board computer. It has a graphic interface with touch screen TFT display The microprocessor has significant high capacity of memory RAM, with a frie ndly used interface having full access on reading and managing the operation by means of USB, SIM, Wi-Fi, Ethernet wired, and RS485 port with ModBus protocol. Above all, the Wi-Fi connection makes the unit visible thr ough the LAN line of the hospital or of the industrial laboratory. Using any PC work station that is connected in the same network where the freezer unit is linked, you can easily browse and get connected to the freezer control system. This can be accessed by typing the IP address of the unit which is a unique IP for each freezer. Moreover you can access the controller through the internet by accessing the static IP address of the institute network in which the controller of the freezer is connected any recording requirement are being designed and managed through our updated controller with which you can have the possibilities to scan bar codes for inventory purposes as well as detect and record the identification of the operator using the unit at each acti on. 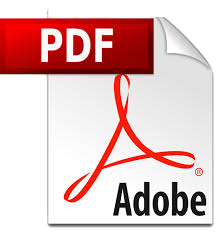 All data can be transferred from the controller to any PC using windows software. The data recording system and software of our controller has been developed to be complied with most evolved standards as, GMP, JACIE, FACT etc. The controller of our units has an access code. It is designed with the possibility to use an electronic key (alphanumerical code customized by the user) to put togethe r with an electrical lock for a controlled door opening, or as optional equipment, to use a badge or transponder (or finger pass, with the finger print storage). The easily designed software management of the controller makes it very simple and friendly to the user with self-explanatory process and guidance. All data in the controller can be safely accessed remotely through the IP address which enables the user to download all data related to the status of the unit, the authorized maintenance technician can also change or modify the parameters remotely. The alarm system is managed totally with an independent microprocessor and electronic board. The condenser ventilation system is being managed separately by means of a sensor; having such advance feature, it allows the condenser fan to change the mode of operation speed based on the ambient condition. This is an optional feature which enables the alarm system to send trouble shooting SMS to a pre-defined mobile phone number. It is also possible to have dif ferent phone number for different levels of trouble shooting and messages. This is an optional feature which can be incorporated in the control system to scan a bar code of the product for inventory use. ECO MODE allows raising the temperature set during night. ENERGEY SAVING MODE raise, automatically and for a temporarily period, the temp set point once the compressors usage has reached its pre-defined limit. This automatic activation of energy saving operation maintains the energy consumption and usage of the compressors to the minimum and in a most economical way. The set point will be re-set back automatically after a defined period of time so as the unit will work in a normal energy mode. It has been calculated that we can save an energy consumption of 15% compared to the normal freezers working without the above features. All our controllers are made to accept future updating in software as well as modification of its features to match and get complied to all standard and requirement in health sector.